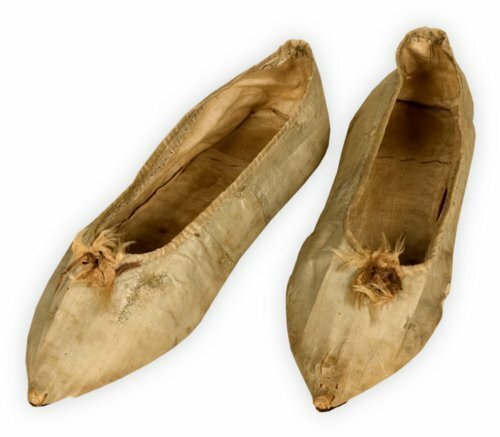 Pair of hand-sewn silk slippers with cotton lining and leather outsole. Worn by a young woman at a ball given in honor of Marquis de Lafayette in Philadelphia, Pennsylvania, in 1784. The Marquis was a notable figure during the American Revolution, fighting on the side of the Americans.